One of the worst defeats in British military history occurred on January 22, 1879 during the Battle of Isandlwana. The battle, fought near a hill in Zululand of the same name, took place early in the Anglo-Zulu war when a British invasion column of some 1,300 soldiers under the command of General Lord Chelmsford was attacked by a 20,000-strong Zulu army, resulting in a humiliating defeat. 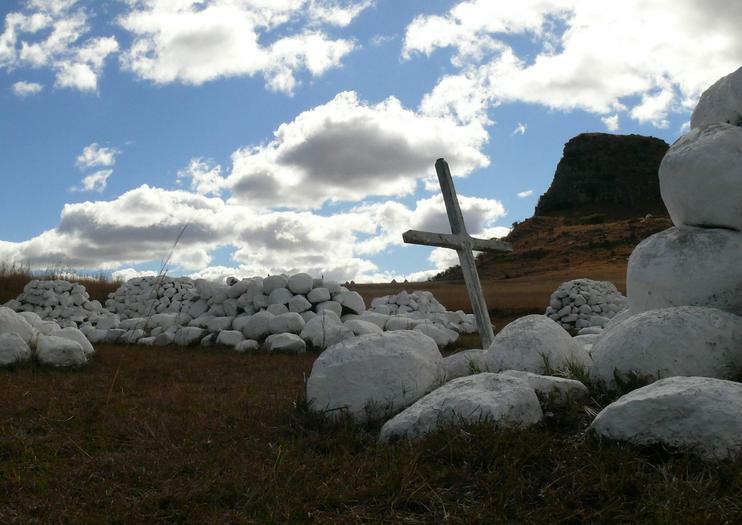 Today Isandlwana Battlefield is dotted with stone cairns indicating the resting places of soldiers killed in the battle. A small on-site museum and visitors center showcases artifacts, relics and background information on the battle — a bonus particularly for those visiting the battlefield without a guide. It’s possible to visit Isandlwana Battlefield and Rorke’s Drift Museum on a single day trip from Durban. Hours: Open from 8:00 am - 4:00 pm on weekdays and from 9:00 am - 14:00 pm during weekends and public holidays.